Sometimes it feels like a lot of work just to go on vacation. My week got snatched away from me with tons of meetings, prep for while I’m out and squeezing in an extra workout with Shaheen and Megan on Thursday. We did a hip hop class which was so much fun, but I think I put my back into it a little too much because I was aching while packing my suitcase up for Mexico. I’m en route at this moment and can’t really process that I’ll be laying on a beach in about 6 hours. I promise not to over Instagram the beach! Here are a few reads that caught my attention this week. 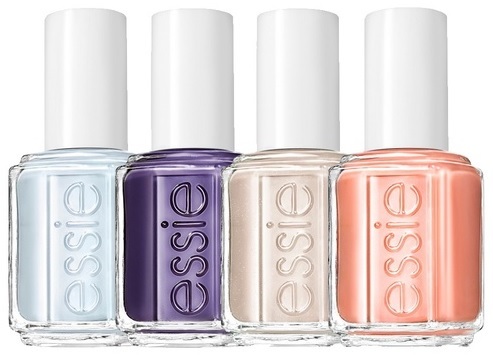 Essie’s Resort collection was made for a beach vacation, along with the rest of this Rank & Style list. I went all matchy-matchy and used the pale peach Resort Fling on my tips and toes. I loved Liz’s office tour! Megan’s $6 thrift store sweater is the business. Why, hello Bobbi Brown Nectar & Nudes collection. A smarter way to shop J. Crew. One last day to enter my diptyque giveaway!